in the far northeast corner of KwaZulu-Natal, on the border with Mozambique, at the confluence of the Pongola River and the Usuthu River. 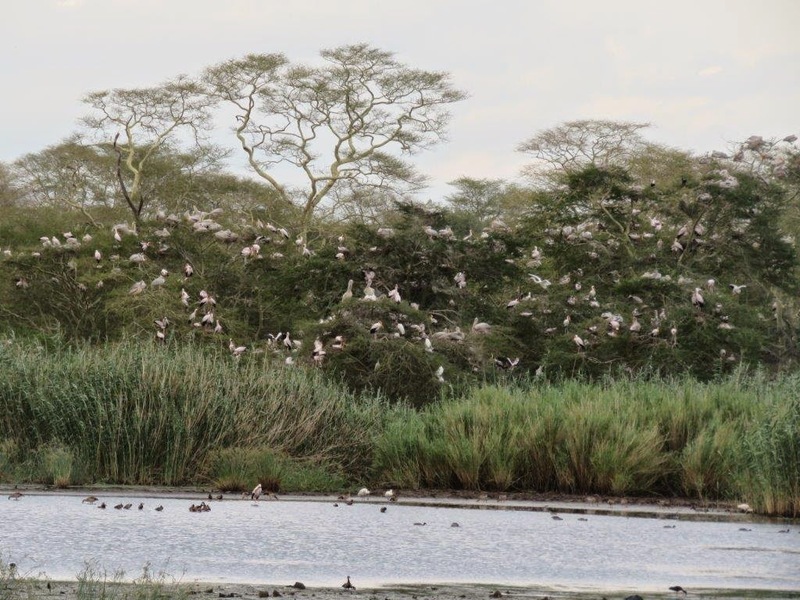 Ndumo is characterized by several beautiful pans, extensive wetlands, reed beds, yellow fever trees, sycamore fig tree forests, and dense acacia savannah. The complete reserve (10,117 hectares in total) was declared as a wetland of international importance on 21 January 1997, hence its Ramsar status. Ndumo (“place of thunder”) is famous for its birds, with 444 species recorded, surely one of the highest densities in Southern Africa. It is not a “Big 5” reserve as there are no elephants and lions inside the reserve. We saw a lot of Nyalas, Impalas, Zebras, Blue Wildebeest, Kudu, Warthogs, Giraffes, Red Duiker, but no sign of any Cheetah, Buffalo or Rhino which are also present in the reserve. Sadly, this could be due to the fact that the reserve is along a stretch of unprotected border with Mozambique. 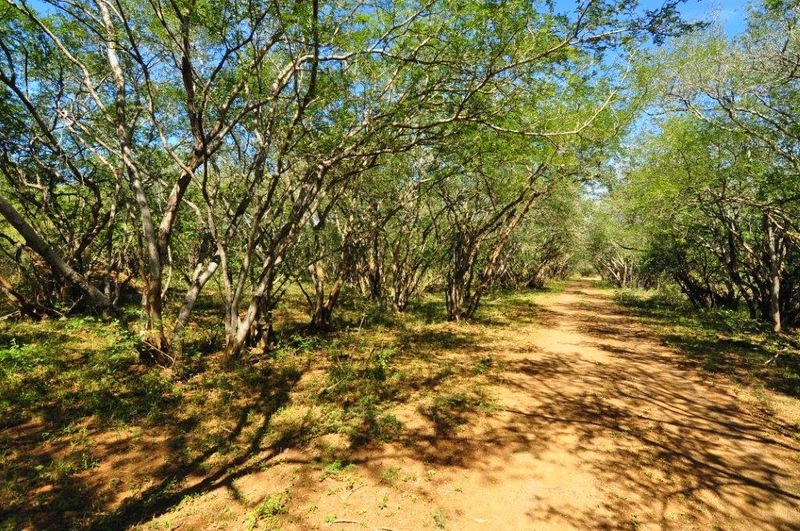 If you like water, trees, birds and wildlife, then Ndumo Game Reserve will be as close as you can get to paradise here on earth! This is definitely one of the most scenic game reserves I have visited in Southern Africa. We approached Ndumo from Kosi Bay which is to the East. Once you turn off from the road between Josini and Kwamangase, the access road to Ndumo becomes a mess. Construction work and insufficient road signs make it difficult to follow. Ndumo Rest Camp, the main camp inside the reserve, is 6 kms from the entrance gate along a good gravel road. 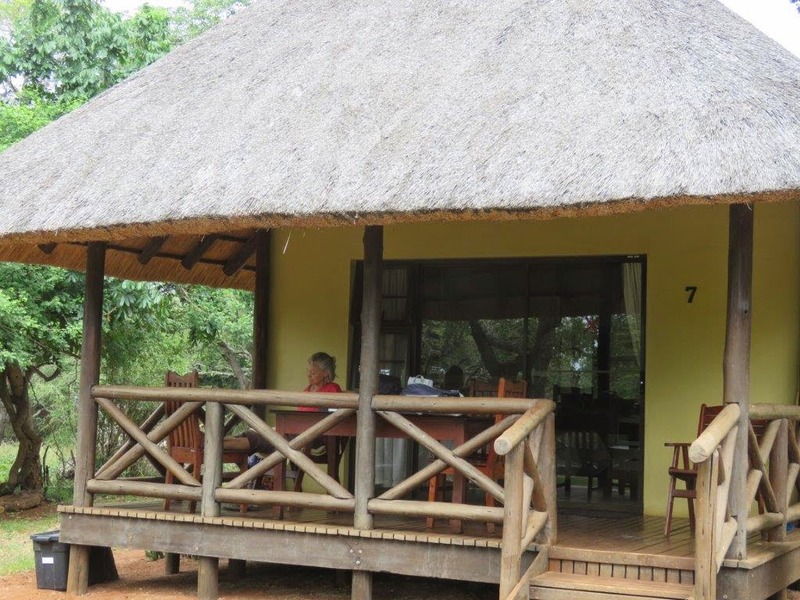 The reserve and rest camp is managed by Ezemvelo KZN Wildlife. All the roads inside the reserve are gravel and in good condition for most vehicles, including sedans. There are a few with rocky patches, just go slow. Some roads were closed during our visit and it did not appear that they will be opened again soon. All the accessible roads can be covered in one day, but plan to stay longer as you would want to spend a lot of time around Nyamithi Pan. The rest camp offers seven 2-bed chalets well equipped for self-catering, as well as fifteen camp sites with power points. The chalets and camp sites share one ablution facility. Although the ablutions are far away from the camp sites and it could be insufficient when the reserve is fully booked, they are well cleaned and serviced daily. There is also a laundry facility and a central communal kitchen which can be used to prepare food, or a chef can cook a meal for you with your supplies. The central swimming pool is a welcome relief on hot summer days. There is also a shop that sells firewood and charcoal together with basic provisions. 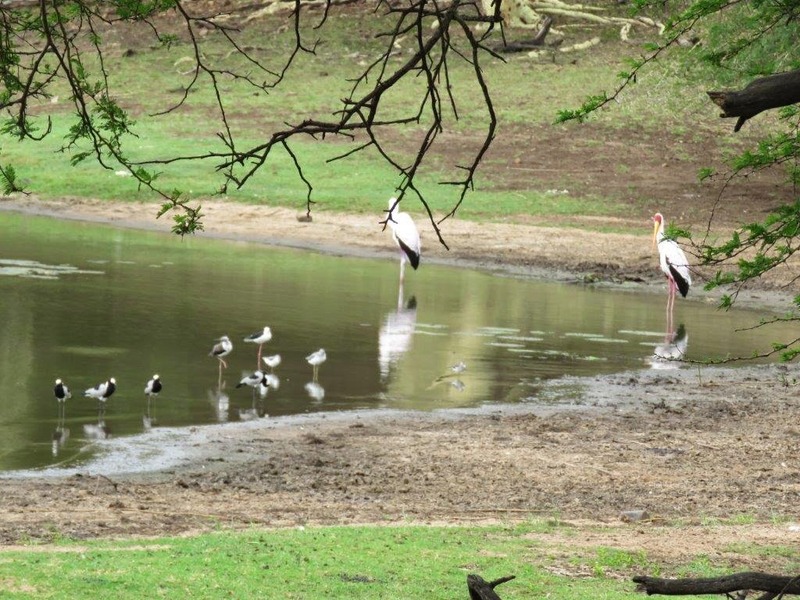 The jewel of Ndumo Game Reserve is without doubt the Nyamithi Pan with its rich and lively birdlife. Literally thousands of birds can be viewed from the excellent birdhide. We saw flocks of Yellow-billed Stork, Pink-backed Pelicans, White-faced Ducks, Glossy Ibis, African Fish-Eagles, several Heron, Egret, Kingfishers and Sandpiper species, and more. The constant activity of the birds will keep you glued to your binoculars and reach for your cameras all the time. A good zoom facility may be necessary as some of the action may be on the opposite side of the pan from the hide. 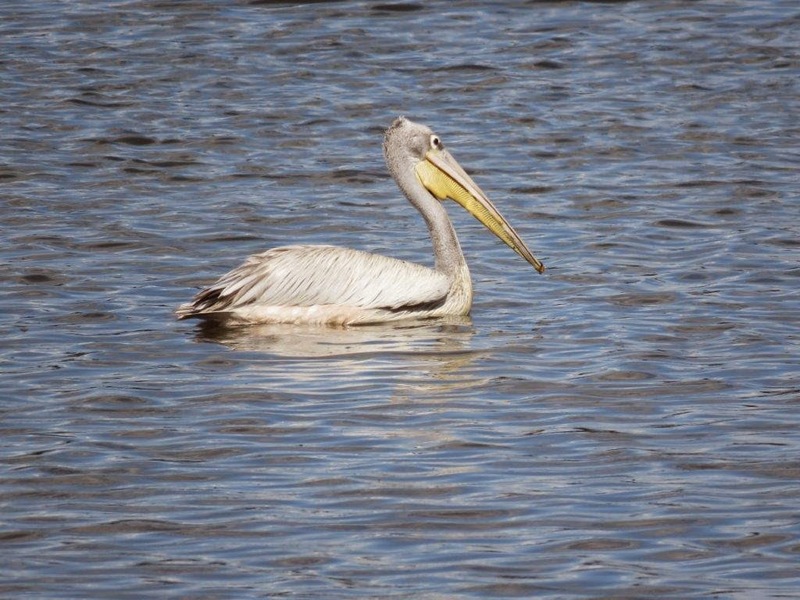 A guided drive around the large pan (about 6km in length) is available and a MUST if you like birds, trees and water. Hippos can be seen in the water and crocs are dashing for the water around every bend. It took us 3 hours to complete the 15km and it felt like driving in paradise – almost as if we are trespassing on holy ground! 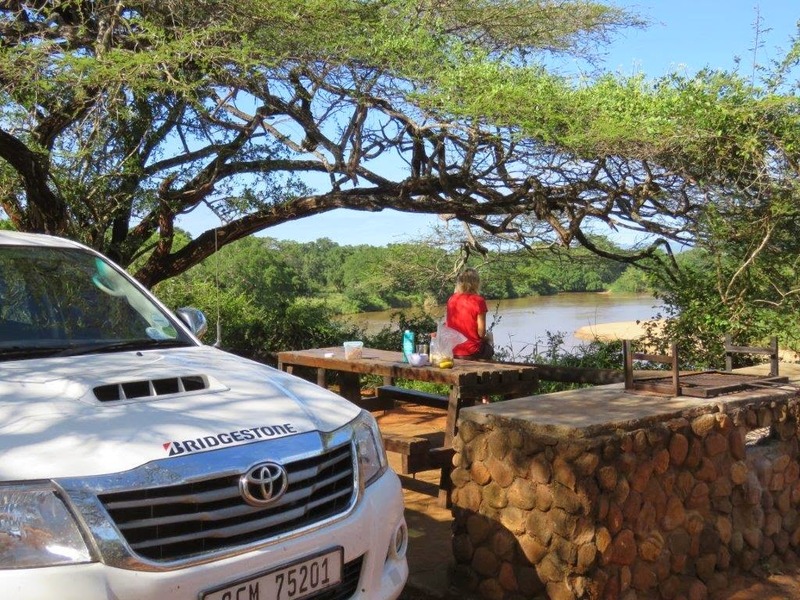 Red Cliffs picnic site on the Usuthu river, the Western border of the park, is also a scenic spot. However, as far as wildlife is concerned, it is in big contrast to Nyamithi Pan. There were very little game and bird life during our visit at Red Cliffs. The only reason I could think of is the unprotected area on the Mozambique side across the river. While we were there, people were cutting down trees (including yellow fever trees!) on the other side. Amos Tembe is the young, energetic and enthusiastic park manager. He has a passion for the area where he grew up and his office door is open for any reason you may have. He calls Ndumo his paradise and would even want his wedding ceremony to take place inside the park. There is another Tembe (not related to Amos) working at Ndumo. Sonto Tembe is a legendary field guide for more than 30 years. He was born and bred at Ndumo. His knowledge of the area, its plants and its animals is unbelievable. He is able to mimic the calls of almost any bird. Unfortunately, Sonto was on leave during our visit and we could not do a guided walk with him.